Uveitis is a general term describing a group of inflammatory diseases that produces swelling and destroys eye tissues. 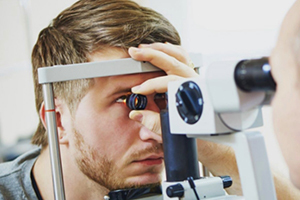 These diseases can slightly reduce vision or lead to severe vision loss. The term “uveitis” is used because the diseases often affect a part of the eye called the uvea. Nevertheless, uveitis is not limited to the uvea. These diseases also affect the lens, retina, optic nerve, and vitreous, producing reduced vision or blindness. Uveitis may be caused by problems or diseases occurring in the eye or it can be part of an inflammatory disease affecting other parts of the body. It can happen at all ages and primarily affects people between 20 - 60 years old. 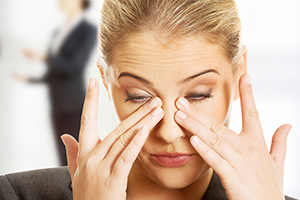 Eye care professionals may also describe the disease as infectious or noninfectious uveitis. Dark, floating spots in the vision (known as Floaters). Uveitis is caused by inflammatory responses inside the eye. Inflammation is the body’s natural response to tissue damage, germs, or toxins. It produces swelling, redness, heat, and destroys tissues as certain white blood cells rush to the affected part of the body to contain or eliminate the insult. Uveitis causes An attack from the body’s own immune system (Autoimmune disorders). Infections or tumours occurring within the eye or in other parts of the body. Toxins that may penetrate the eye. The disease will cause symptoms, such as decreased vision, pain, light sensitivity, and increased floaters. In many cases the cause is unknown. How is a uveitis diagnosed? Diagnosis of uveitis includes a thorough examination and the recording of the patient’s complete medical history. Laboratory tests may be done to rule out an infection or an autoimmune disorder. A central nervous system evaluation will often be performed on patients with a subgroup of intermediate uveitis, called pars planitis, to determine whether they have multiple sclerosis which is often associated with pars planitis. A Visual Acuity Test: This test measures whether a patient’s vision has decreased. A Funduscopic Exam: The pupil is widened (dilated) with eye drops and then a light is shown through with an instrument called an ophthalmoscope to noninvasively inspect the back, inside part of the eye. Ocular Pressure: An instrument, such a tonometer or a tono-pen, measures the pressure inside the eye. Eyedrops that numb the eye is used for this test. A Slit Lamp Exam: A slit lamp noninvasively inspects much of the eye. It can inspect the front and back parts of the eye and some lamps may be equipped with a tonometer to measure eye pressure. A dye called fluorescein, which makes blood vessels easier to see, may be added to the eye during the examination. The dye only temporarily stains the eye. 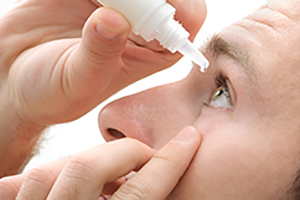 Uveitis may be treated with eyedrops, injections or oral medication. The most severe cases may require chemotherapy to suppress the immune system. Uveitis treatments primarily eliminate inflammation, alleviate pain, prevent further tissue damage, and restore any loss of vision. Treatments depend on the type of uveitis a patient displays. Some, such as using corticosteroid eye drops and injections around the eye or inside the eye, may exclusively target the eye whereas other treatments, such immunosuppressive agents taken by mouth, may be used when the disease is occurring in both eyes, particularly in the back of both eyes. The ophthalmologist will usually prescribe steroidal anti-inflammatory medication that can be taken as eye drops, swallowed as a pill, injected around or into the eye, infused into the blood intravenously or via a capsule surgically implanted inside the eye. Long-term steroid use may produce side effects such as stomach ulcers, osteoporosis (bone thinning), diabetes, cataracts, glaucoma, cardiovascular disease, weight gain, fluid retention, and Cushing’s syndrome. Usually, other agents are started if it appears that patients need moderate or high doses of oral steroids for more than 3 months. Other immunosuppressive agents that are commonly used include medications such as Mycophenolate, Azathioprine, Methotrexate and Cyclosporine. These treatments require regular blood tests to monitor for possible side effects. In some cases, biologic response modifiers (BRM), or biologics, such as adalimumab, infliximab, daclizumab, abatacept, and rituximab are used. These drugs target specific elements of the immune system. Some of these drugs may increase the risk of having cancer.